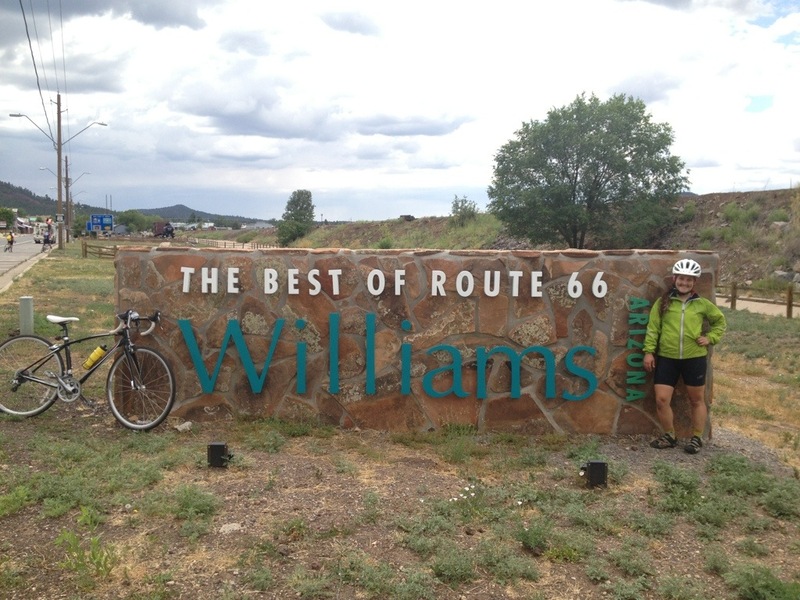 Day 57: Grand Canyon to Williams, AZ, 57 miles! We were sad to be leaving the beautiful Grand Canyon, but we were thankful for a day off the bike and some time to explore the national park. We expected it to be a fairly easy day, but some riders decided to get to Williams a different way… By train. There was a train that ran from the GC to Williams, and was supposed to be really scenic. About half of the team decided to take the train instead of ride, which was actually hilarious. We can add that to the list of things we do (Bike & Build & walk & hitchhike & van & train & eat & sleep…). I rode my bike because I didn’t want to pay for a train ticket and I haven’t been vanned yet, so I’m pretty stubborn about finishing this thing the right way! I was honorary sweep with Emerson and Regular Ryan. What I remember about this ride is that although we were fairly quiet as we were riding, I was in a fantastic and relaxed mood. We soared up and down the hills, with the downhills giving us just enough momentum to send us pedaling almost effortlessly over the next climb. It felt great! At one point, we caught up with Max, Andrew, Leader Ryan, and Sam, who had gotten a flat. By the time we were ready to leave, I had gotten a flat. 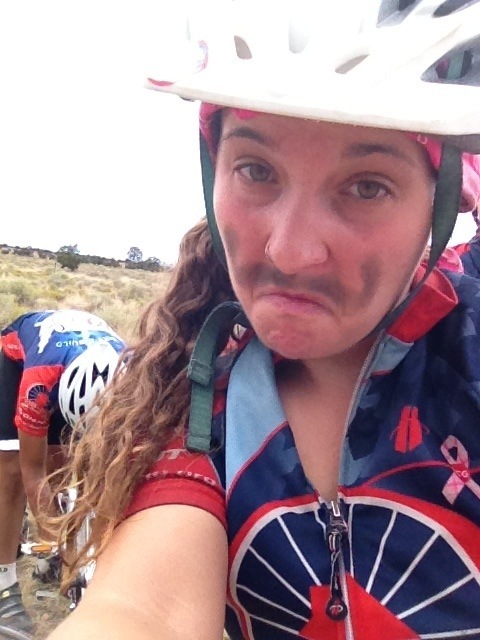 While changing my flat, Regular Ryan gave me a bike chain grease mustache. The caption to this photo is “I mustache you a question”. The best part of this day was that so much of the scenery reminded me of North Carolina. Although NC has more trees, Arizona was showing it’s good side that day. Oh, and did you know there are mountains in Arizona? Because I didn’t! Although it was a little sandier and a little less green than I would have liked, it was still so great!! 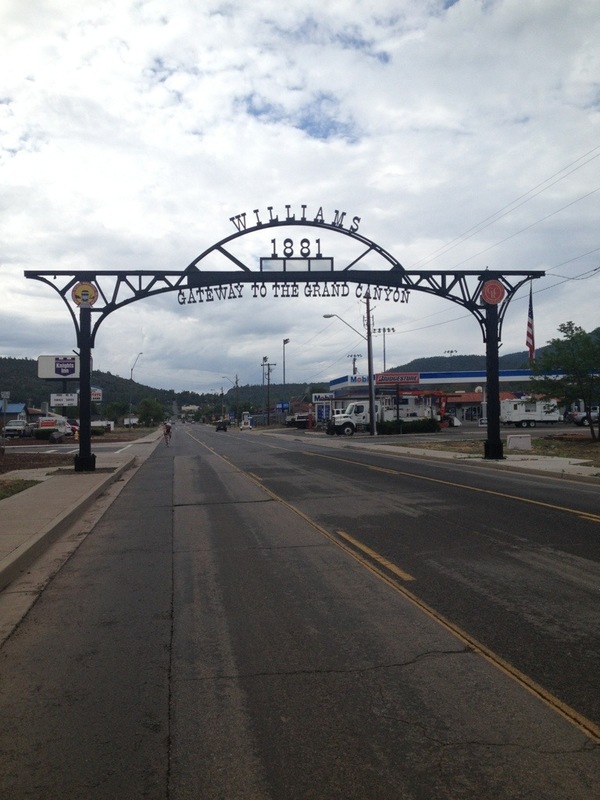 Williams was a pretty cute little town! 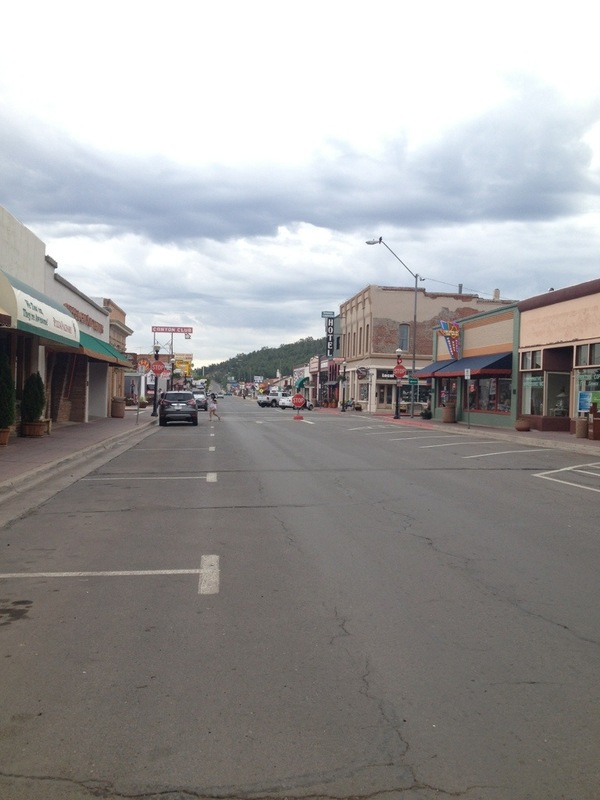 We enjoyed our stay there that night and got excited to bike to Prescott the following day, where we’d have two build days! This entry was posted in On the road! on July 19, 2013 by murphykg. Fabulous fun ! I love the fun you are having. 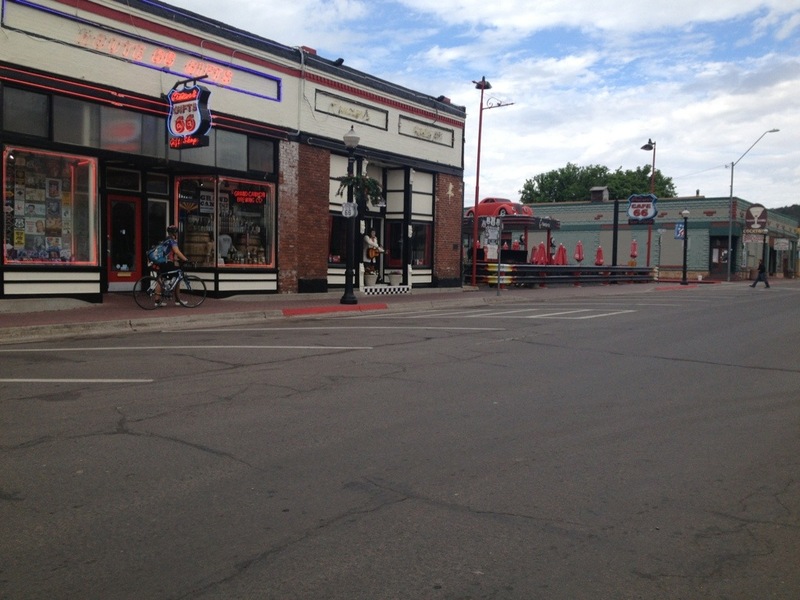 Its really a lot of physical biking, and building from time to time, and an occasional day off. But you make it fun, and funny. And enjoyable. Even my husband and father in law ask your grandma and I each day , well what’s new with the biker? My husband and father in law are completely computer and new age phobic, and have no idea how to turn a computer on, much less know the difference between voice mail and email and gmail ! They know how we are enjoying taking about what we’ve read and the pix you send, but they don’t really want to take time to see what we have lengthy talks about ! Ok, so you are the famous ” Biker Chick”. 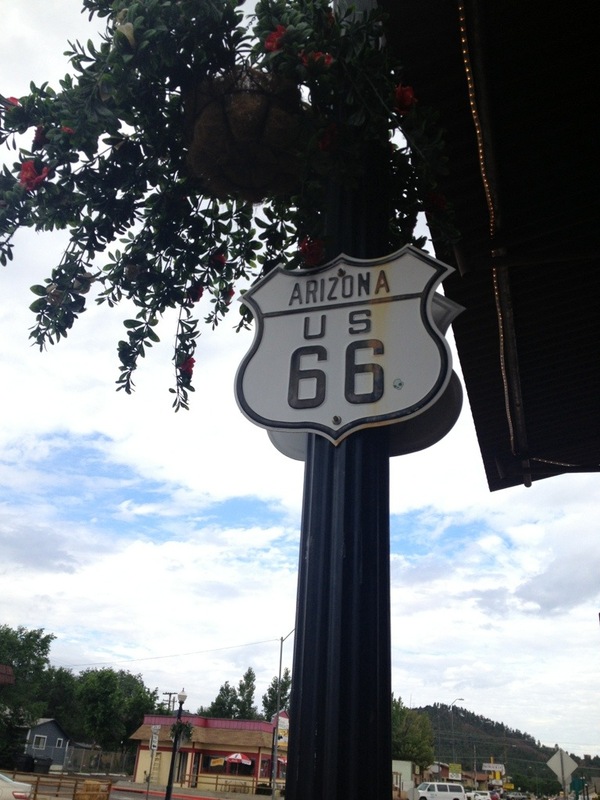 Our favorite so far is your Grand Canyon visit and pix , too. Your grandma is spending the weekend at your house, your dad came and got her tonight. I wont see her until Sunday or Monday. But I know if you call home , she would LOVE to hear your voice ! She does not, however, answer the phone there when she is by herself. So, if everyone is out running errands, and it’s just she and Ellie, she lets vm handle the call. Oh – and Ellie is incredibly sweet – I did fall in love with her. What a great gentle dog. A little skittish at first, but she warms up quickly enough. A real love bug. Any way – keep up the great work, and great attitude, and I look forward to your next installment of, the , ” As the bicycle turns” or The days of our rides”, or “the big Flat theory”, I could go on and on, but I need to sleep, and I get goofy as can be when I am this tired !